Wild flowers come and go, mainly in the early part of the summer, but my mix from Pictorial Meadows just keeps on coming. It should still be blooming up till the first frost in November. I seeded six sections of the veg patch at different times and with varying success. A length on rich soil behind a row of peas was the first to get going, it took off really fast. Was that because it was on a slight slope, angled away from the sun, and did that mean they didn’t go too thirsty? Other sowings thrived but some were patchy. Seedlings close to stone walls and compost heaps were probably most vulnerable to slug attack. In some areas a mix of seedlings sprouted but only a couple of species went on to survive. Was that because the slugs didn’t like them? Areas that were initially devastated by slugs are still pushing up tiny seedlings and these look like they might survive. Are the slugs sick of the plants? The seeds had to cope with initial drought and my sporadic watering through a hosepipe from the stream above. They were then hit by exceedingly heavy rains and pools of long standing water. The supplier stressed the need for weed free beds, which they were when I sowed the seeds. But other seeds have been trespassing or rising out of the seedbank. So what I thought was going to be a low input project has turned into an obsessive, time consuming but satisfying labour of love. Next year I might plant narrower beds so that I can reach across and weed. With the current set up I need to use a scaffolding plank resting on stools – lying face down in a flower bed causes the occasional passer-by to ask if all is ok. 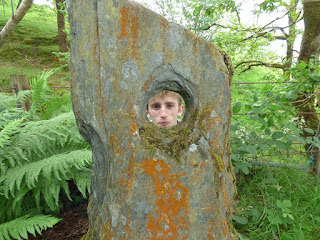 It was the new head gardener at Bodnant who gave me the idea. 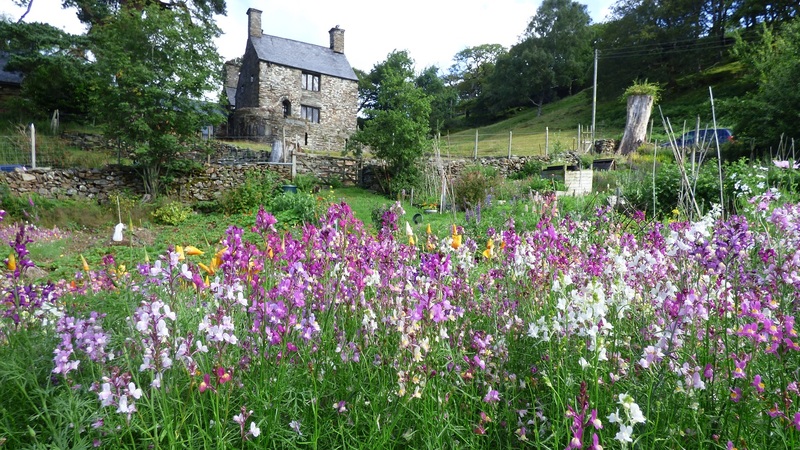 He had a border on one of those immaculate terraces which was plagued with a particularly pernicious weed; by sowing a mix of annual seeds he’d be able to inspire the visitors and keep the weeds in check ready for planting perennials next year. If you’d like to have a go you should visit the Pictorial Meadows website. I got a bit carried away with ordering seeds and opted for 500g at a cost of just over £150. I chose the original Pictorial Meadows mix which is said to produce stunning displays until late October / November, starting out with white, blues, pinks and reds, turning to reds, orange and yellow in the autumn. The mix has been carefully balanced for colour and succession of display. Components include: Shirley Poppy, Pavader Rhoeas Californian Poppy, Eschscholzia Californica Cornflower, Centaurea Cyanus Fairy Toadflax, Linaria Maroccana Tickseed Coreopsis Tinctorial Red Orache Atriplex Hortensis and Larkspur. Delphinium Ajacis General Height: 60cm. So far it’s done what it says it will do on the packet which is not always the case with my gardening attempts! Should I collect the seed at the end of the summer or buy more for next year? Needless to say the supplier strongly recommends buying new so that you get the mix in the right proportions. Photos struggle to convey the effect, the swaying in the breeze and the buzz of the bees. This YouTube is better but still a poor substitute for the real thing. Harlech beach in sunshine and Molly learnt to swim. She was a bit apprehensive; doggy paddle is pretty slow compared to running and some of those waves were a bit big. But she did it, and deserves a badge. For the return journey we enjoyed our first crossing over the replacement to Pont Briwet. Maybe not as characterful but two way traffic without lights and no toll are big plus points. 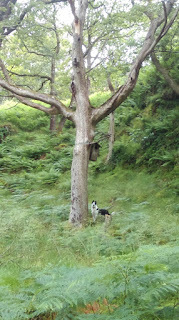 I was walking through the drizzly woods, enjoying fresh bilberries, Molly scouting ahead. A squirrel ran up an old oak, and while Molly gazed upwards, front paws on the trunk, a second squirrel sneaked up the far side and into a hole half way up the tree. A couple of minutes later its head popped out to check the coast was clear and it carried on to the top. Seconds later out swooped 1, 2, 3, 4, then 5 bats in quick succession. Then 6, 7, 8 and 9 ….10 ……. 11 and 12. After a long pause out came number 13, a few minutes later number 14 and much later came number 15. These were large looking bats. None of your frantic flapping of the wings or jumpy zig zag flight. More of a glide and a swoosh. All went the same direction and none returned in the 20 minutes I watched. I wonder what went on inside. Did the squirrel attack the bats. Did the bats mob the squirrel? Why were some of the bats so slow to leave the roost? I’ll never know, but it was a great encounter. Newborough and Ynys Llandwyn on a blue sky day; it was perfect. Secluded, wind-protected coves as the tide retreated. Rocks to scramble over with the family geologist pointing out balloons of pillow lava and other formations. A large, grey seal patrolling its territory. 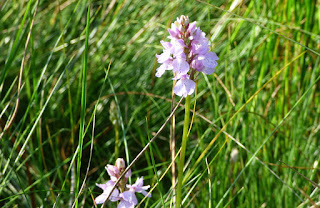 Wild flowers galore and especially around St Dwynwen's Church. I'd been impressed with the flowers in early May and expected mid July to be a let down, but it was anything but. The car park was busy but there was so much space on the beach. Well worth the £4 parking fee and free if you arrive very early or after the attendant knocks off. 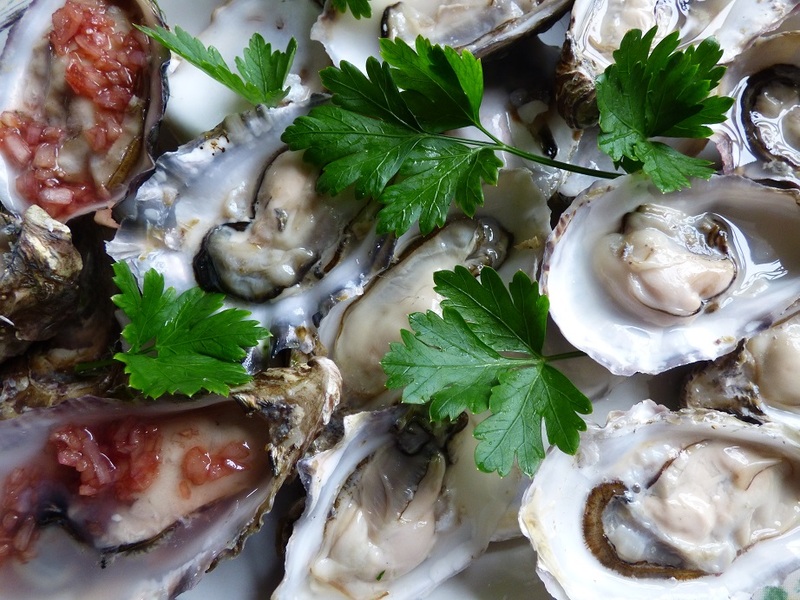 Oysters and summer go together but only Pacific or rock oysters, the cultivated ones. Native oysters are not so plentiful and should only be available when there’s an R in the month. These particular oysters were 90p each and came from the Menai Strait via Mermaid Seafoods in Llandudno. This family run business offers an excellent range of locally caught fish and from further away. They also provide good advice on what to choose and how to prepare it. On their recommendation we had locally caught grey mullet, filleted and fried in olive oil and butter; really tasty. Served with new potatoes, curly kale and broad beans from the veg patch. 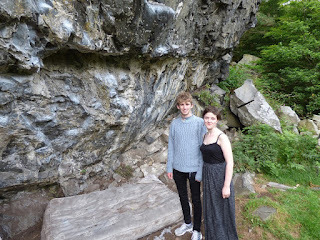 On our way back from Beddgelert I parked up to show Haydn and Lily the stone age rock shelter. It was discovered a couple of years ago when someone questioned why there were limpet shells ten metres above sea level. Subsequent radio carbon dating said one of the shells was 9343 years old. The mattresses gave it a contemporary feel. Not an impromptu camp site but a safety measure for climbers practising on the overhanging rock. The story of the discovery is in this earlier blogpost. The Brythoniaid is one of the two male voice choirs in Blaenau and Thursday is practice night. Everyone is welcome to watch and listen which is what we did as the choir prepared for its upcoming appearance at Festival No. 6 in Portmeirion. It was a bit daunting as we sat on the three seats in the middle of the assembly hall in Ysgol y Moelwyn. In front and facing us were the 45 members of the choir; there would have been more but several members are farmers and this is a busy time of year for them. It was almost like being the X Factor panel but without the buzzers. If you’d like to go along they start singing at 7:30 and continue until about 9:30 with a leg stretch in the middle. Full details of the choir can be found on their website. Below is a recording from their performance for last year’s Festival No. 6 in which you can see them singing; on an open top double decker London bus, outside Euston Station, on Virgin Trains to Bangor and of course at Portmeirion. Have a look and listen - you won't regret. It's a fabulous rendition of the Pet Shop Boys 'Go West'. 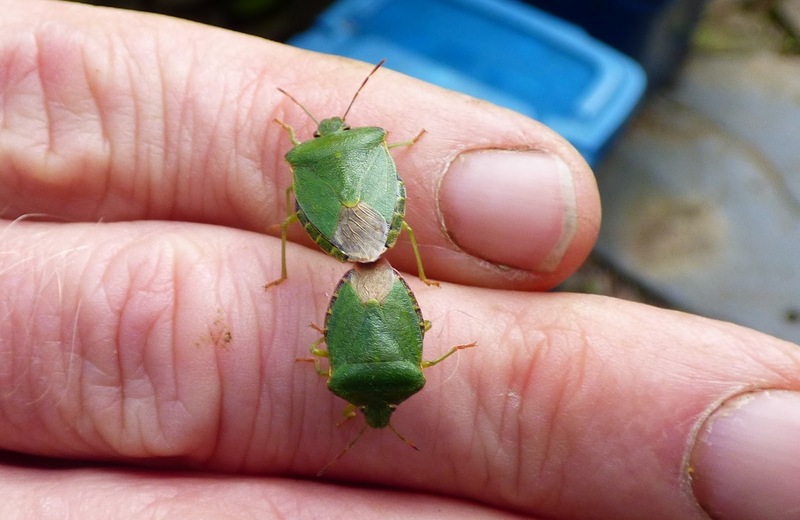 I picked a colander full of broad beans, took them to the kitchen and discovered I’d also picked up a couple of copulating hitchhikers - green shield bugs. Not to be confused with the stamps. They mate back to back as they’re not flexible enough for both to face forward. Or maybe they can't stand the sight of each other? Throughout their journey to the kitchen and back to the beans they remained attached; the larger one, the female, walking forwards up my arm and the male having to walk backwards. 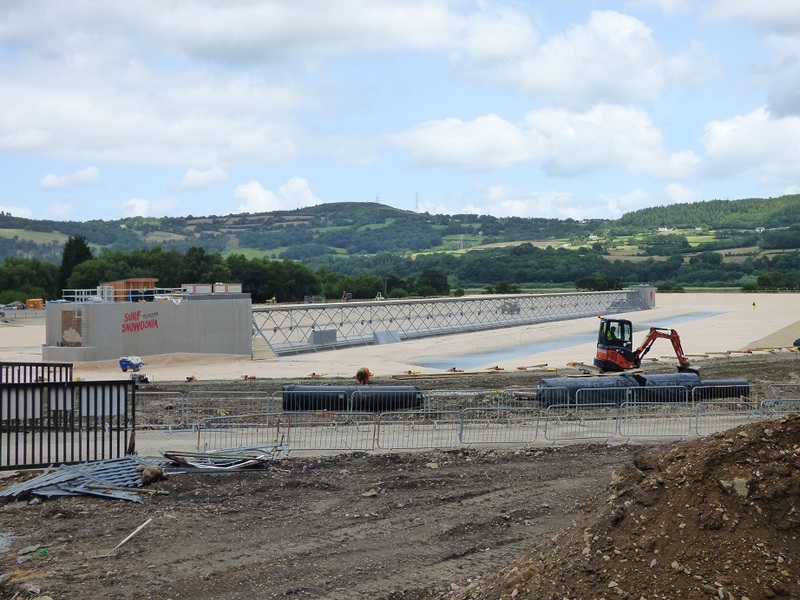 North Wales’s newest activity attraction is almost ready; 6 foot waves on demand at Surf Snowdonia. Perfect for those learning how to surf or get in some practice when natural waves are not available. 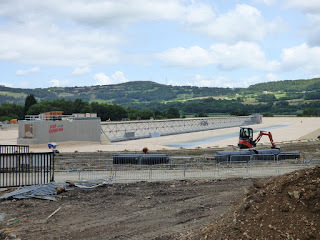 I don’t know exactly how it will work but there is some sort of gadget that rushes up a track in the middle of the giant pond, a bit like a snow plough. If all goes to plan they will be opening on 1st August. It’s built on the old aluminium works at Dolgarrog. Brown field into blue sky. Snowdonia dreamin! Beach, baby beach …..
As part of a cultural tour of North Wales we needed to track down a memorable site or scene from the Mabinogion. This is a 12th to 13th century compilation of stories written up from the oral tradition and not to be confused with Mabinogi, a multiplayer online role-playing game based on Irish mythology as opposed to Welsh prose! 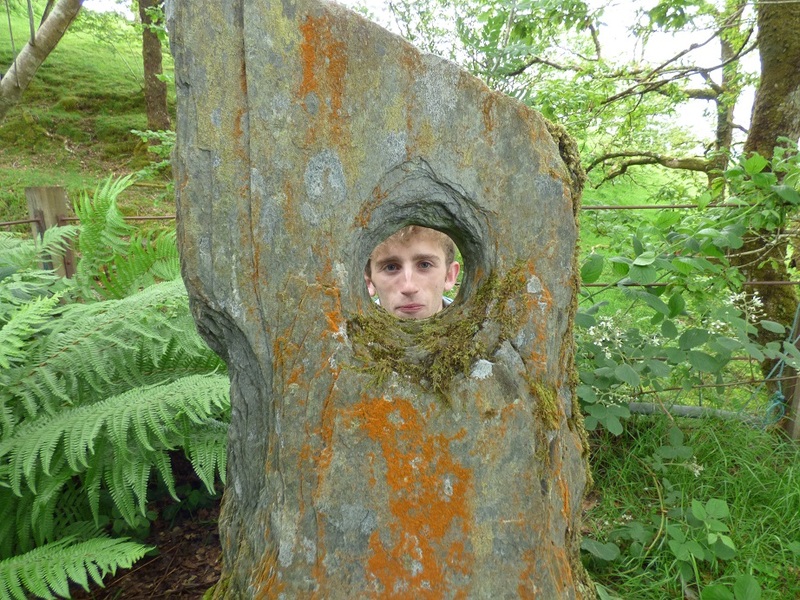 The site we chose was Llech Ronw, the Slate of Gronw. Lleu grants the request but his spear goes straight through several inches of slate to kill his wife’s lover. Both these scenes took place on the Cynfal river and the stone, rediscovered some years ago, has been set on concrete beside the Afon Bryn Saeth, a tributary of the Cynfal. Bryn Saeth, translating to ‘Hill of the Arrow’, is the name of the farmstead where it stands. 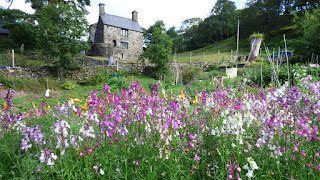 It’s a 5 to 10 minute walk up from the main road at Bontnewydd to grid ref SH714407. Hot weather and all this news coverage about Greece prompted me to have a go at making Baklava. 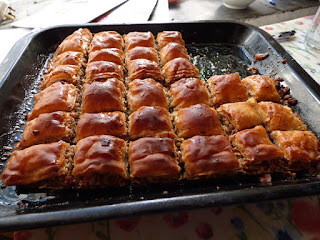 Fiddly sheets of filo brushed with melted butter, embedded layers of crushed nuts and topped with a sticky honey syrup; it tasted great, looked ok and there’s lots left! It brought back happy memories of Drachmas and Retsina! Mamma Mia. 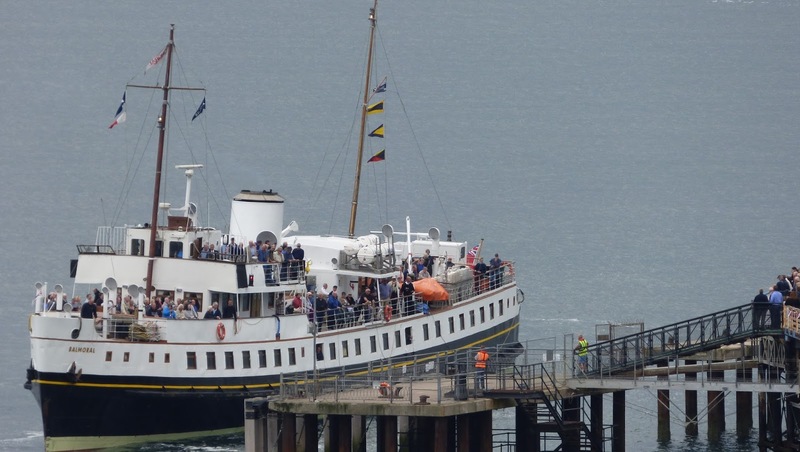 Six years ago we sailed on MV Balmoral, circumnavigating Anglesey in idyllic weather. 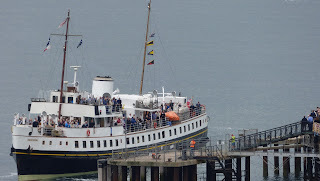 Alas, good weather is not guaranteed and its absence, coupled with other misfortunes, resulted in the Balmoral being withdrawn from service in 2012. But she’s back from the brink, thanks to generous donations and a huge volunteer effort. The peace and quiet of recent early mornings has been broken by the horn of a works train going up the line. 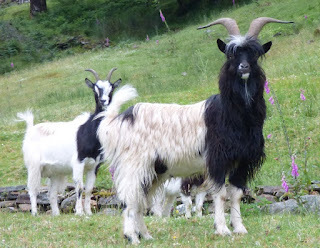 Today we were woken by the plaintive bleats of three goats. I took Molly out for her morning toilet and they were up by the railway; the female and the kid eating tree leaves, the male eating thistle tops and foxgloves. This is a new and very young family unit, the parents probably in their third year, with striking black and white markings. The male has a completely black face apart from a blob of white on his nose. The female and the kid with stripes as if wearing masks to a masked ball. Have they come down from above the line?